The Brod Law Firm's expert Reading car accident attorneys litigate and settle many successful auto accident cases each year. We are here to help you now. Top rated Reading auto accident attorney, Gary Brod has over 30 years of expertise representing victims of serious multi-vehicle accident cases involving cars and trucks on Route 422, Route 12 , Route 222, City of Reading, Hamburg, Temple, Fleetwood, Oley, Morgantown exit onto Route 422 and many other parts of Berks County. 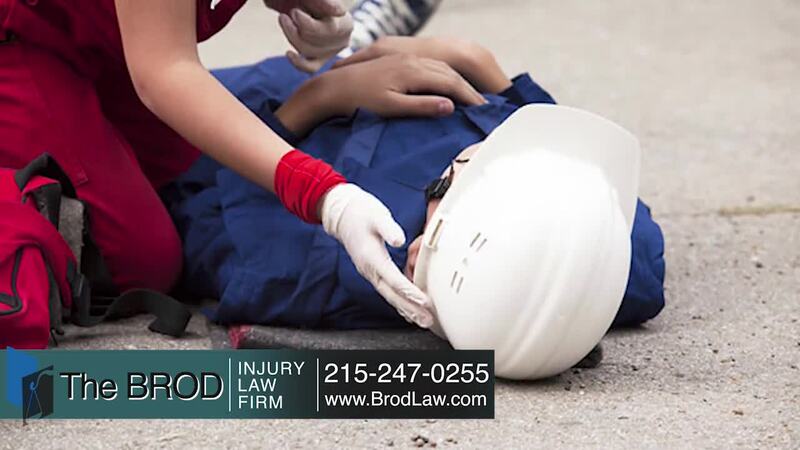 Our office has been located in Reading, Pennsylvania for over 23 years.Top Rated car accident injury lawyer Gary Brod, has extensive experience handling the most serious injury cases including traumatic brain injury, loss of limbs, paralysis and serious neck and back injuries. He knows the law and understands the medicine behind his client's injuries. $240,000.00 Settlement: 34 year old foreman in industrial setting was rearended in his SUV suffering head trauma, back and neck sprains with aggravation of lumbar discs and partial tear of rotator cuff requiring surgical intervention. This person had limited tort coverage. $190,000.00 Settlement:(Limited Tort) 30 year old restaurant worker suffered injuries to her neck, facial and head lacerations along with minor cognitive impairment from rearend impact by another car at 50 mph. This person had limited tort coverage. CAUTION: IMPORTANT CONSUMER TIP: If you're involved in an AUTO accident don't say anything to any insurance company just yet. If you are contacted be polite, business like and firm in your tone and let them know you are hurt but not in condition to discuss anything with them and can't agree with anything now. Get their name, telephone number and claims information, thank them and contact your auto accident lawyer. See three biggest mistakes. Why Hire A Reading Car Accident Lawyer For Your Auto Accident Case? What Do You Get When You Choose Reading Car Accident Attorney Gary Brod? Did you know The U.S. Department of Transportation's National Highway Traffic Safety Administration revealed that in 2015, there was an increase in traffic fatalities across the country after years of steady declines? Top rated Reading car accident attorney Gary Brod's straightforward approach and painstaking preparation ensures the success of each of the cases he accepts. This strategy has been developed and tested through 30 years of trial practice and the experience of representing thousands of car accident cases. We prepare each and every case from day one as though it will be eventually tried in a courtroom. This process begins from the moment we accept your case. But this office is not an accident mill where we use a "cookie cutter" approach, as no two cases are the same and we take all cases we handle seriously because we know... its your one case which matters. The fact is that the majority of his cases are settled before trial. Attorney Gary Brod and his team know that our opponents will take your case and us seriously if they know we have all the ammunition and are ready, willing and able to proceed to trial if a satisfactory settlement offer is not made. FAQ: Why Does Reading Car Accident Attorney, Gary Brod Frequently Win Favorable Settlements in Reading Car Accident Cases? Answer: Because we deal from strength, never from weakness. We prepare each case from the beginning as if it would have to be tried in Berks County Court. Reading Personal Injury Accident Lawyer Gary Brod begins meticulous and painstaking preparation of his cases for trial from the first day he meets his clients. He always fully prepares the case with the assumption that trial is foreseable, hires the most qualified experts, does in-depth investigation and researches every point of law about the case. The defendant and the defendant's insurance company know of our years of experience and successful track record and sooner or later learn how well prepared we are. That is the reason why 90 percent of our Reading motor vehicle cases are satisfactorily settled before trial. We also know the ultimate disposition of the case is always the client's decision. Our Reading car accident attorneys recommend that you take several important steps after an automobile accident. First, insist upon receiving immediate medical attention. Even if you do not feel injured at the moment, it is possible that you will develop injuries later. If you feel any pain at all, no matter how insignificant it seems at the time, insist that the medical provider include that in his or her report. Also, request that the driver of the other vehicle receive a medical exam, as well. Under no circumstances should you sign any documents that say you are not injured. Do not give interviews that could potentially be used against you in the future. The Brod Law Firm's experienced auto accident injury attorneys welcome you to contact our offices at any time. It will not cost a penny to speak to Reading Auto Accident Lawyer Gary Brod who will personally handle your case, nor will it cost you anything up front to retain his services as he carries all costs. In your no obligation consultation your case will be discussed and the facts will be reviewed and evaluated on the spot by Lawyer Gary Brod with an opinion of what we can do for you and your case. We handle auto accident injury cases throughout the state of Pennsylvania. Don't settle for less than you deserve. Insurance companies have trial lawyers. Shouldn't you have an experienced personal injury trial lawyer on your side? Obtain the benefits that a seasoned trial lawyer can provide you. Call Gary Brod anytime at 888-435-7946 (888-HELPWIN) or contact us online for a free no obligation consultation and explanation of your legal rights. Even if you are not sure if you have a case please call us for straightforward no-nonsense answers to your legal questions. We do not charge you for legal advice.